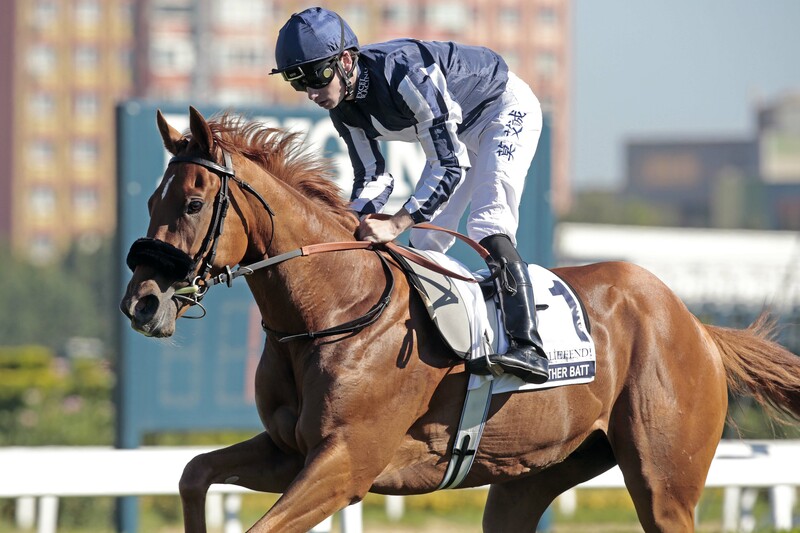 DANDY MAN, by a July Cup winner out of a Molecomb winner, he was bred for one essential attribute, ‘Speed’ and it has proved an inspired mating. DANDY MAN a Champion Sprinter who won six times from 2yo – 6yo, including The Palace House Stakes beating 3 Grp 1 winners in the field, he was also placed in the Grp 1 Nunthorpe and the Kings Stands Stakes at Royal Ascot. 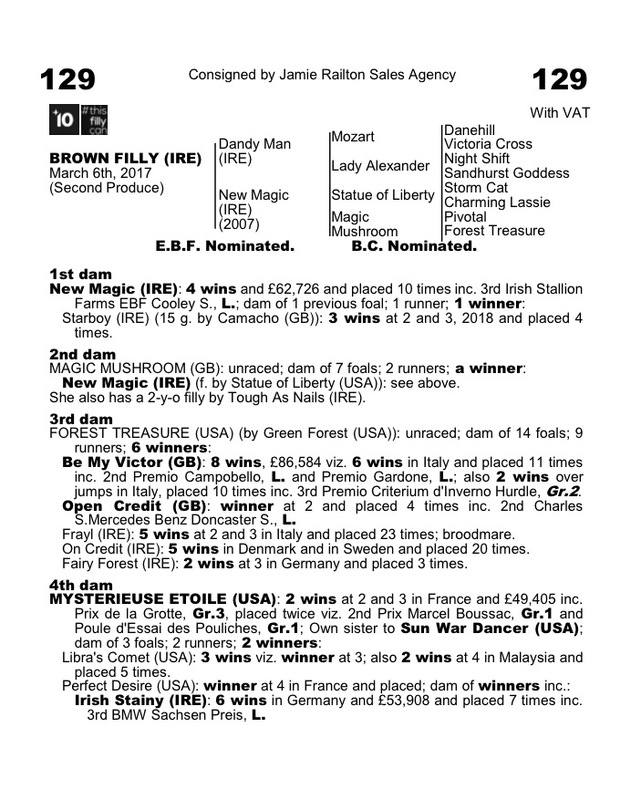 NEW MAGIC, by STATUE OF LIBERTY was a talented and resilient race mare who ran thirty-two times and won four of her starts, whilst placing in ten and earning herself black-type at Listed level. 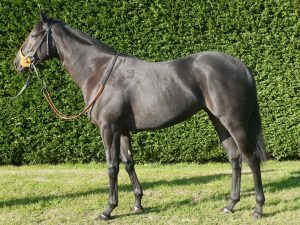 After winning on her two-year-old debut, the tough NEW MAGIC raced on until she was six and achieved a lifetime highest official rating of 96 and won £63,726. 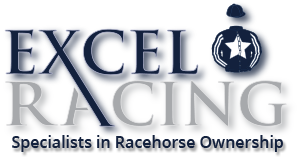 NEW MAGIC retired in 2013 and has one previous foal STARBOY who is already a four-time winner at 3-years-old with an official rating of 88, he’s owned by Excel Racing Ltd so is a horse we know very well and are very fond of. The dam has a 100% success rate and is proving already what a great mare, she is. DANDY MAN x NEW MAGIC is a beautiful filly. She is a strong, well balanced type with a good stride. Richard & Ross liked her very much, and she vetted perfectly. 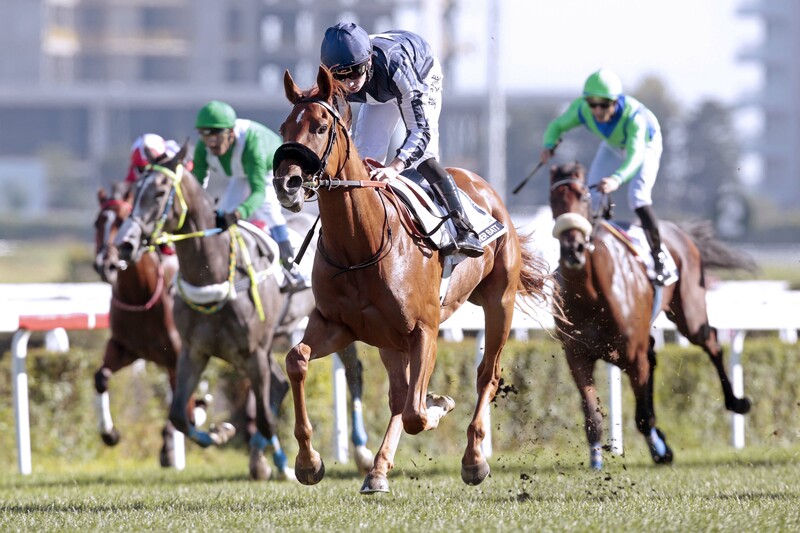 Richard would anticipate her being ready to debut in the early to mid-part of the 2019 flat season.